1.Flight behavior of the moths of Mythimna separata(Walker)inwindtunnel. 2.Sequence of predatory behavior of the adult lady bird beetle,Coccinella septempunctataL. (Coleoptera:C occinellidae)on aphids. 3.Blue cup trapping of larch cone flies (Strobilomyiaspp.). 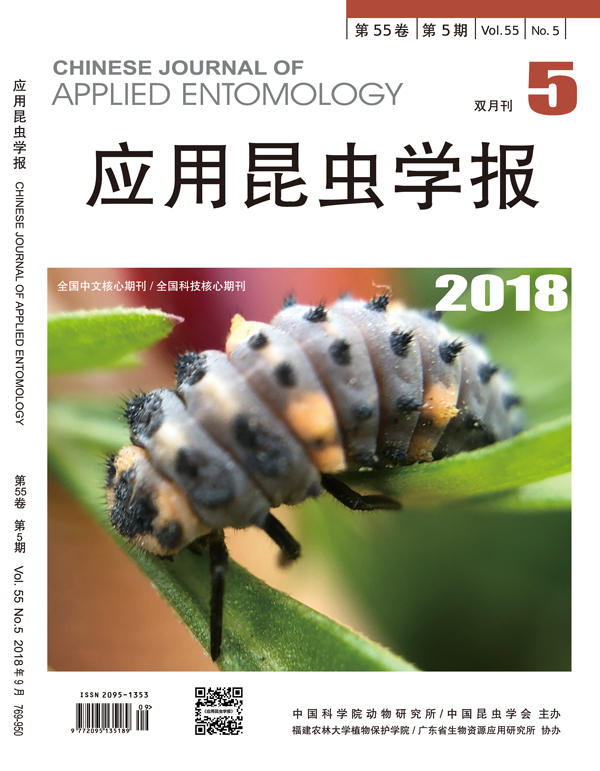 4.Occurrence and control of two fruit-boring insect pests on fruit trees in Beijing. 5.Developmental threshold temperature and effective thermal summation of Tetranychus turkestani (Ugrou & Nikolski). 6.Influences of humidity and photoperiod on population growth of Pseudaulacapis pentagona(Targioni-T ozzetti). 8.Studies on diapause of Tetranychus urticae Koch. 10.Nutrition components of Acrida cinerea and the evaluation of its utilization. 11.Occurrence of Bostrychidae in house buildings and its control. 12.A study on the population dynamics and predacious function of Hippodamia (Adonia) variegata (Goeze). 13.Archanara sp.,a pest newly recorded on wildrice. 17.A new simple method to test insect super-cooling point.